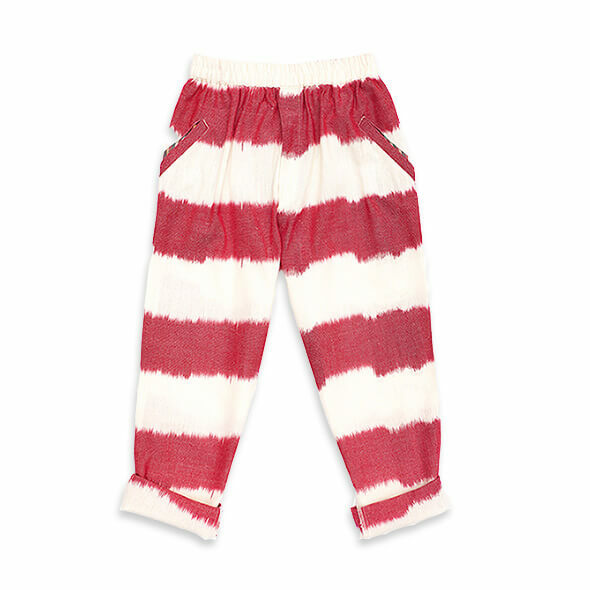 These cool striped kids trousers by loulou des indes are perfect for a cool summer day. The pants are made from 100% cotton. The design is inspired by indian clothes style. 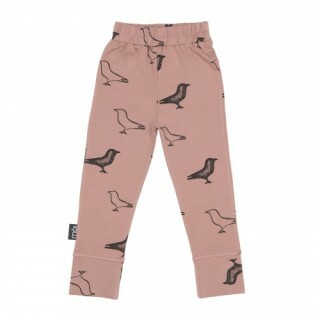 The trousers are wearable by boys and girls. The wide red stripes give the pants a cool and casual look for an everyday outfit in the summertime. The pants have an elastic waist for comfort and two pockets at the front and two at the back.